Charles Bolden is the third-longest serving NASA administrator, having assumed the top spot at the space agency six months into the presidency of Barack Obama in July 2009. During his tenure, NASA has seen advancement of its scientific and human exploration, studying both the Earth from space and worlds beyond. NASA has done incredible work during both Obama terms. Meanwhile, Bolden oversaw NASA’s continued partnerships with private aerospace firms like SpaceX and United Launch Alliance. On Wednesday, Bolden addressed the next big change for the agency — President Donald Trump — in an internal memo. 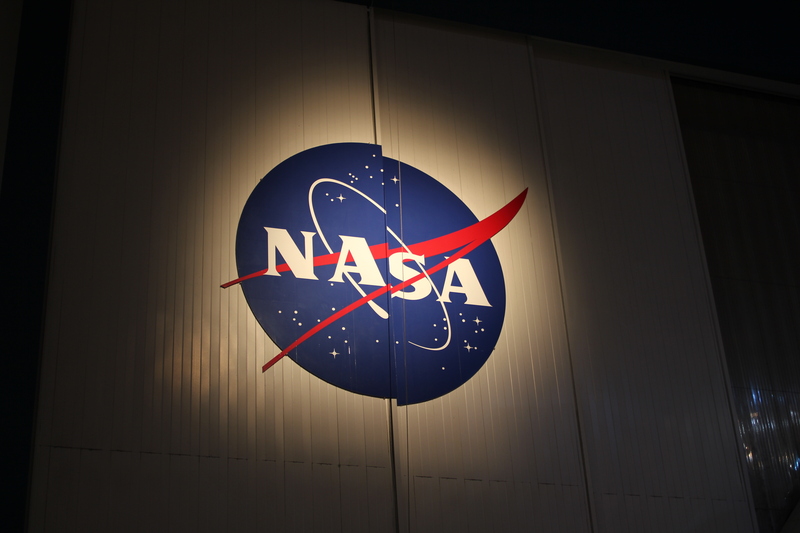 It’s no secret that NASA employees are worried the Trump administration wants to stop backing NASA science (despite Trump’s tweets to the contrary). After all, the science-based organization will soon be under the presidency of someone who has, in no uncertain terms, run an anti-science campaign. Bolden, who served in the Marine Corps for decades and holds the Major General designation, writes that he was heartened by the enthusiasm for various NASA projects over the past few years, including the mission to Mars, the projects on the International Space Station, and exploration of our solar system. He observed that from his position at the top of the NASA pyramid, there has “been much bipartisan support” for the work of space exploration and science being conducted by NASA and various research institutions. The private industry isn’t so confident that the status-quo will remain: On Tuesday night, SpaceX’s chief of communications, Dex Torricke-Barton, posted this on Facebook: “Donald Trump, we will tear down your wall. I promise.” In December, Jeff Bezos (Amazon’s founder and owner of the Washington Post), who’s been a target of Trump’s, offered to send the Donald to space. Space never came up during the three presidential debates between Clinton and Trump. However, Mike Pence, the now Vice President-elect, said during a stop in Florida recently that basically, Donald Trump would make space great again. Some would argue that it’s already pretty great. Whether NASA’s future includes Bolden — who was smart to put a positive face on this stunning election result while it was still fresh — has yet to be determined. As someone who served for decades in the United States Marine Corps, it always gives me great pride to see our fellow Americans exercise the most sacred right in our democracy – a right that good men and women have fought and died for since the earliest days of our country – the right to vote. As a proud member of the NASA Family, it gives me great hope and joy to know that as our country transitions from a long campaign to the hard work of governing, our agency will continue to reach for new heights for the benefit of all humankind. One of the things I’ve noticed over the last couple years, is that more and more of the people I meet are getting behind the important work you and I have been doing together: from our Journey to Mars to the International Space Station to Earth Science, exploration of our Solar System and Beyond, cutting edge Aeronautics and our work to develop the technology that drives both exploration and economic growth. Less often are people saying, “Why don’t you try things my way?” More often they are asking, “How can I be a part of this?” The Pluto-mania we experienced last summer, the excitement over Scott Kelly’s Year in Space, the Mars momentum that has entered the public’s consciousness – these are but a few examples. In times when there has been much news about all the things that divide our nation, there has been noticeable bipartisan support for this work, our work – support that not only reaches across the aisle, but across the public, private, academic and non-profit sectors. For this reason, I think we can all be confident that the new Trump Administration and future administrations after that will continue the visionary course on which President Barack Obama has set us, a course that all of you have made possible. I could not agree with these sentiments more when it comes to our NASA. I maintain that the state of our NASA is as strong today as it has ever been. The reason I say this is simple; it is because of you. You, along with our fellow employees, contractors and partners are making aviation cleaner, greener, safer and quieter. You are unlocking the mysteries of places like Pluto, the Kuiper Belt, Jupiter, Europa, the sun, Saturn, her moons and Mars. You are discovering more and more about our own planet’s oceans, atmosphere, surface, energy cycle, water cycle, carbon cycle, weather and changing climate. You are supporting our astronauts as they work off the Earth, for the Earth. You are building a robust commercial market in low-Earth orbit and making commercial cargo and crew a reality. You are helping develop thousands of new technologies and helping partners spin them off and transfer them into the market where they are impacting people’s lives and creating jobs. You are encouraging more young Americans – including women and people of color – to pursue study and careers in Science, Technology, Engineering and Math. You are the reason that we are closer to sending human beings to Mars today than anyone, anywhere, at any time has ever been. Perhaps most importantly, you are continuing to make NASA the #1 best place to work in the federal government. You are the reason that my granddaughters will someday raise their own children in a world where the air is cleaner, our planet’s waters are healthier, NASA-developed technologies are making a difference in people’s day-to-day lives, commercial airline travel is quicker, safer and more fuel efficient and a continuous human presence on Mars is an everyday fact of life. You are the reason we may even find the answer to the age-old question of whether we are alone in the universe. In 2010, as many of you will recall, President Obama came to the Kennedy Space Center and challenged NASA to embark on a Journey to Mars that would bring astronauts to the Red Planet in the 2030s. Few could have imagined that just a few years later we would have made such incredible progress on this journey and on all our important work on behalf of discovery, innovation and human progress. So as 2016 comes to a close, I want to invite you to take just a brief moment to reflect on all that we have done together and all the wonderful things to come for NASA, and for humanity. Thank you for making the impossible possible. Thank you for turning science fiction into science fact. Thank you for making the state of our NASA so very strong. I am honored to be your colleague and your friend.